What should I do if asked to take a breath or blood test? Under Virginia law, if you are suspected of DUI, police may ask you to submit to a preliminary breath test (PBT) to determine if there is probable cause for a drunk-driving arrest. A PBT is a hand-held device generally administered roadside while police are conducting a DUI investigation. You have the right to decline this test and your declination cannot be used as evidence of guilt if you ultimately go to trial for DUI. Most importantly, you should be aware that if you submit to a PBT and it indicates that alcohol is present in your blood, you will likely be arrested and charged with DUI. An “official” breath or blood test, on the other hand, is typically administered at the police station post-arrest. Virginia law states that an unreasonable refusal to take the official breath or blood test is a violation of Virginia’s Implied Consent laws. Such refusal can result in an additional charge and potential penalties beyond those faced in the underlying DUI. A first-offense refusal conviction carries a 12 month license suspension with absolutely no driving in Virginia. A second or subsequent conviction carries a three year license suspension, again with absolutely no driving in Virginia, and potential fine and incarceration. Can I go to jail for being caught in possession of marijuana? In Virginia, it is unlawful for any person to knowingly or intentionally possess marijuana. 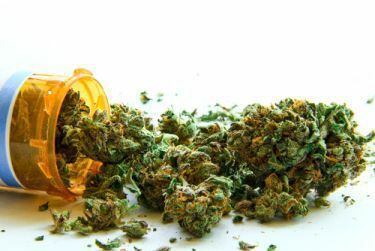 The only way possession is legal is if the marijuana was obtained directly from, or pursuant to, a valid prescription or order of a professional practitioner. A first offense for possession of marijuana is an unclassified misdemeanor which carries up to 30 days confinement in jail and a fine up to $500, either or both. A first offender will likely qualify for a diversion program whereby, upon compliance with all terms of probation, including community service, drug education and treatment, loss of driving privileges and general good behavior, the charge will be dismissed. A second or subsequent offense is a Class 1 misdemeanor and carries up to 12 months incarceration and a fine up to $2,500, either or both. All marijuana convictions require a six month loss of driving privileges (restricted privileges may be granted by the court). Do I really need a lawyer for a reckless driving charge? Possibly. It is certainly worthwhile consulting a lawyer for such charge. Reckless Driving, like many traffic or misdemeanor offenses, can be deceiving. It often appears harmless and many decide to handle the matter in court themselves. After all, a Reckless Driving charge is simply an overblown speeding or traffic matter, right? Do not be deceived. Reckless Driving in Virginia is a class 1 misdemeanor and carries a penalty of up to 12 months incarceration and $2,500 fine, either or both. The court can also suspend your privilege to drive in Virginia for up to 6 months. Candidly, most do not go to jail or lose their privilege to drive for Reckless Driving (depending on the circumstances, of course). But, it is important to note that even if the court simply imposes a mere fine or less, upon conviction, the Division of Motor Vehicles (DMV) will assess 6 demerit points to your driving point balance and the conviction will remain on your record for 11 years. Often, the most significant punishment is your increased insurance rates, or worse, for the next 11 years. Accordingly, it is well worth at least consulting a lawyer for a Reckless Driving or other seemingly harmless traffic matters. A lawyer can assist in determining what defenses you may have available. 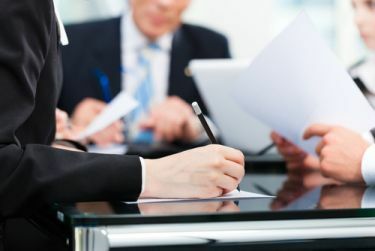 A lawyer can also assist in negotiations with police/prosecution, mitigation and presenting you to the court in the most favorable light possible. 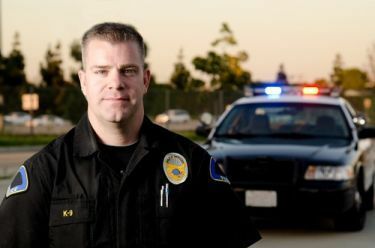 What should I do if police seek to administer field sobriety tests? You have the right to decline all field sobriety tests (e.g., walking straight line, counting, reciting alphabet, standing on one foot, following police finger or pen with eyes, touching fingers or nose, etc.). You also have the right to decline a preliminary breath test or PBT, which is a hand-held device often used by police to determine blood alcohol content before arrest. Note: PBT should not be confused with the post-arrest breath/blood test offered at the police station or jail. You must comply with the post-arrest breath/blood test or risk an additional charge for refusal. Remember, police must have “probable cause” to arrest you. Probable cause is a legal term of art that simply means police must have clear facts or evidence to believe you are involved in criminal activity. The police are trained to persuade you to comply with field sobriety tests and PBT to establish probable cause for arrest. They will rarely, if ever, inform you that these tests are optional. They are trained to offer field sobriety tests in such way that you believe compliance is mandatory or somehow in your best interest. Police will use their training and all circumstances to their best advantage in gaining your compliance. In effect, by administering field sobriety tests, the police seek to have you make, or certainly strengthen, their case against you. The last thing you want to do is voluntarily provide police with the necessary probable cause for your own arrest. What should I do when confronted by police? Always be calm and cool. Always control your words, tone of voice and body language. You have the right to remain silent. This is arguably one of your most important rights and often the least exercised. Do not talk. You have the right to refuse searches. You do not have to let police into your home without a search warrant. Police can lie to you. Do not be tricked or intimidated into waiving your rights. Determine if you are being detained by police or if you are free to leave. Do not expose yourself to police by being a public nuisance. Do not run from police. State your rights, but never touch police or physically resist. These rules are taken from www.flexyourrights.org. They have an excellent 40-minute DVD entitled 10 Rules for Dealing with Police that can be viewed on YouTube. They also have a similar DVD entitled BUSTED: The Citizens Guide to surviving Police Encounters.